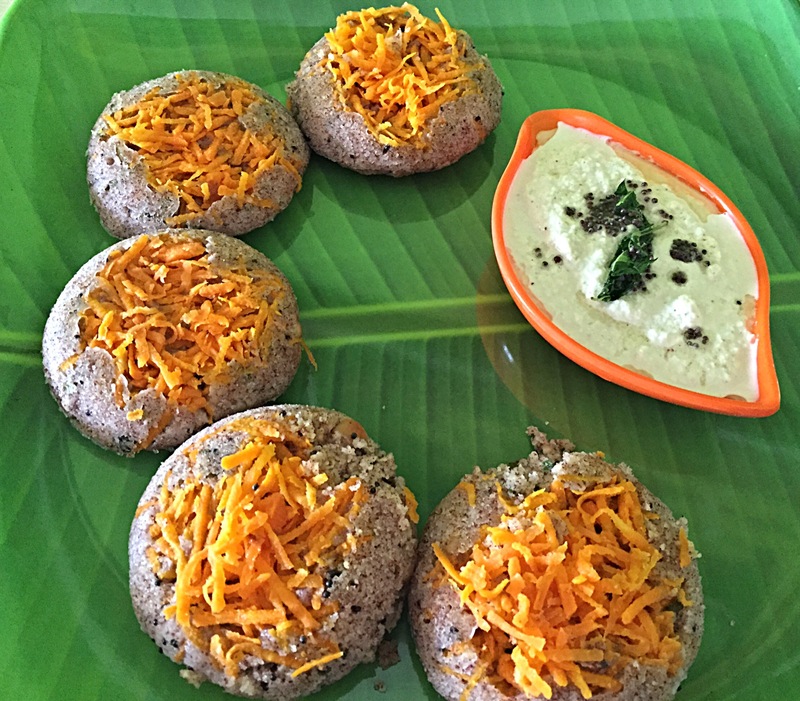 Semolina is known as rava in Tamil and suji in Hindi. 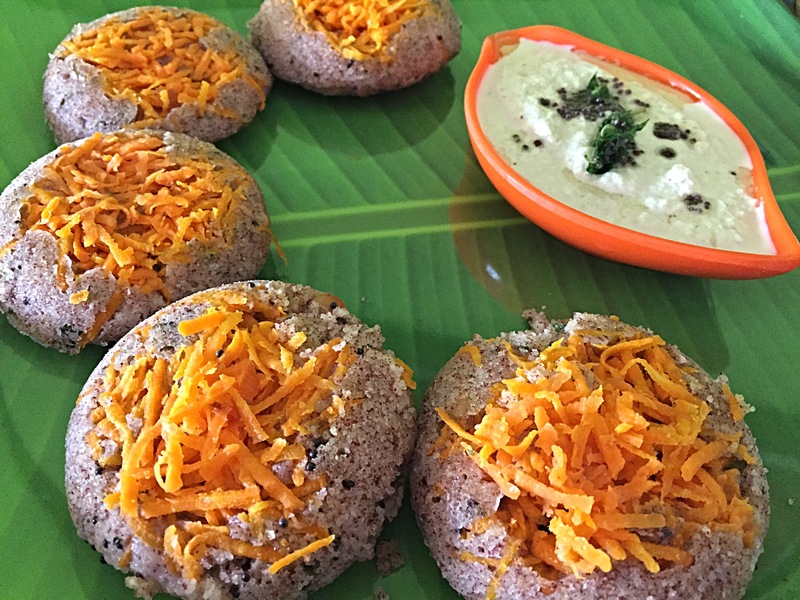 Rava idli is one of my family’s favourite breakfast. 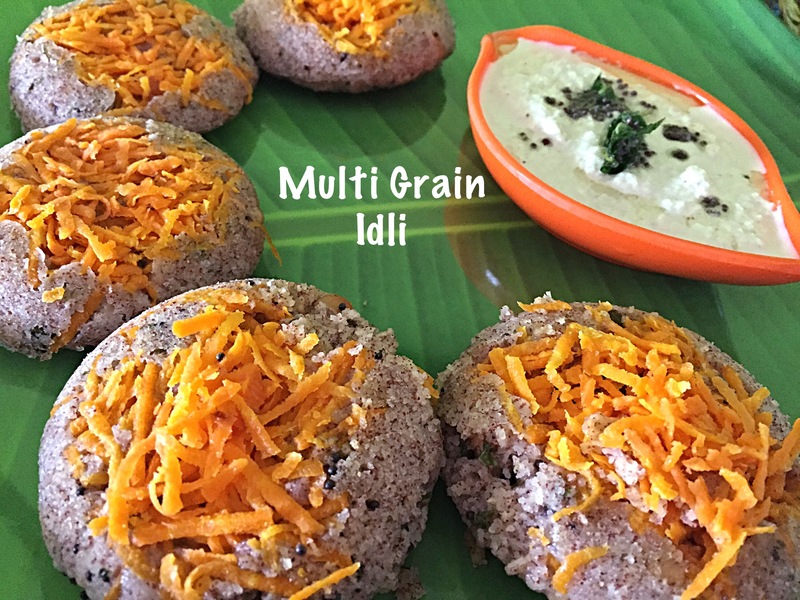 I follow the famous Mrs Mallika Badhrinath’s recipe for rava idli. It is a fool proof recipe and I have shared this many of my friends. Add mustard. 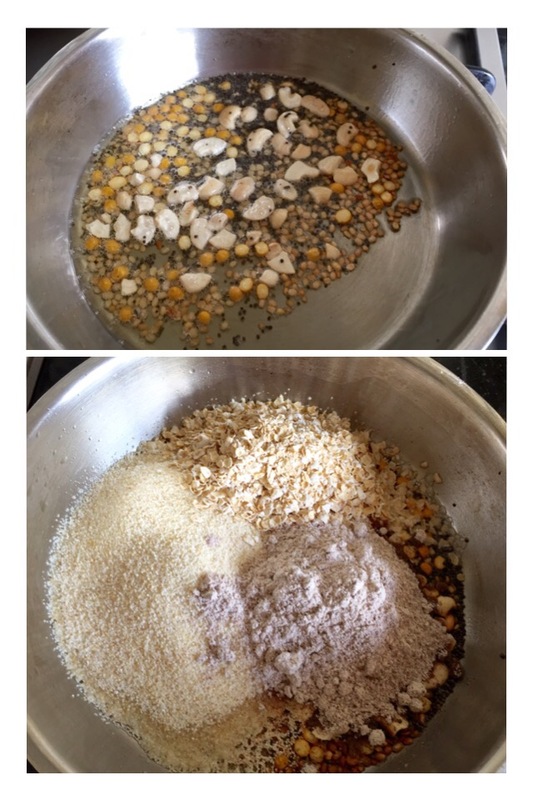 When it starts spluttering, add urad dal, chana dal, cashew nuts and hing.Sauté till the dal becomes golden. Switch off the gas. 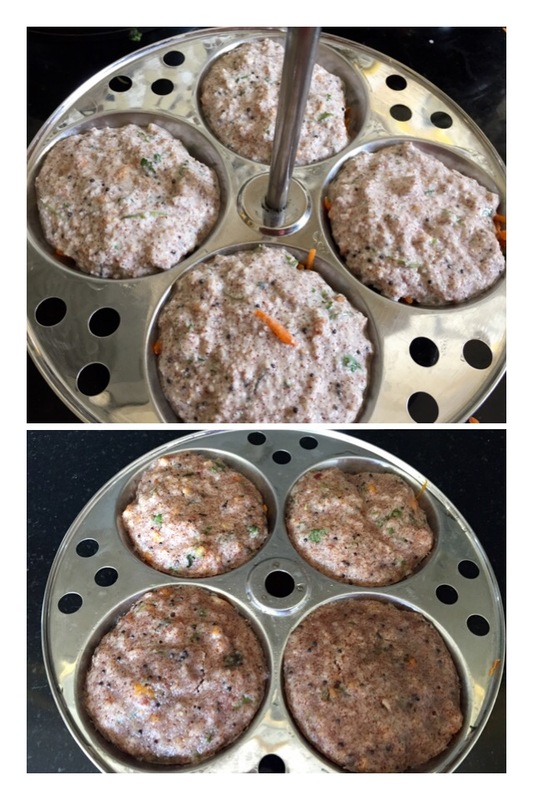 Add rava, ragi and oats and mix well. Now add well beaten yogurt to this and mix well. 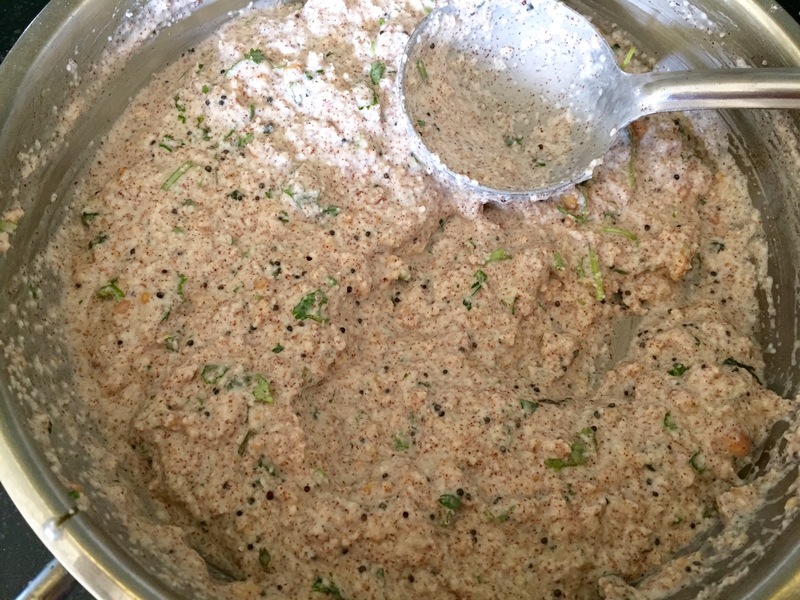 Add chopped coriander leaves and mix again. Let it rest for 10 mins. Heat water in a steamer. 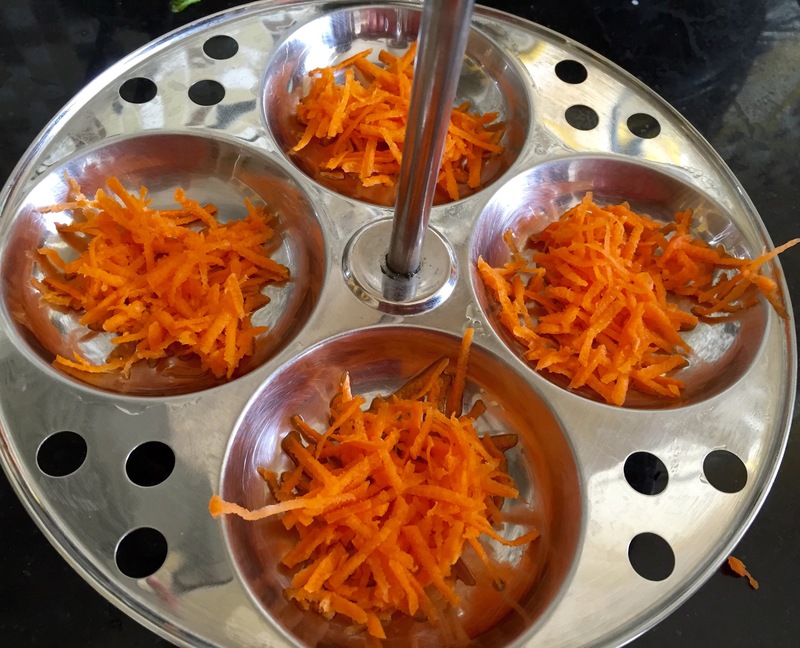 Grease Idli plates, top it with a tbsp of grated carrots and keep it ready. 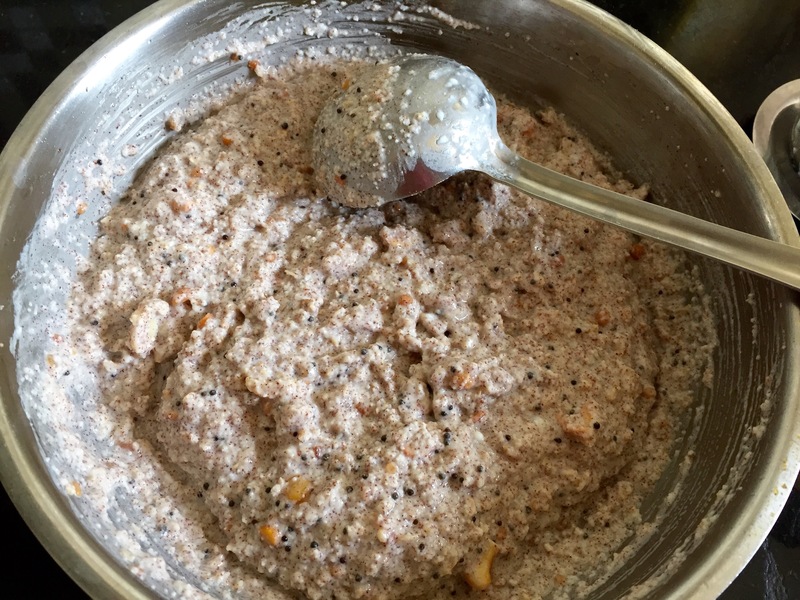 Once the water starts steaming, add cooking soda and 1/4th cup of water to the batter and mix well. Batter will become light and frothy.